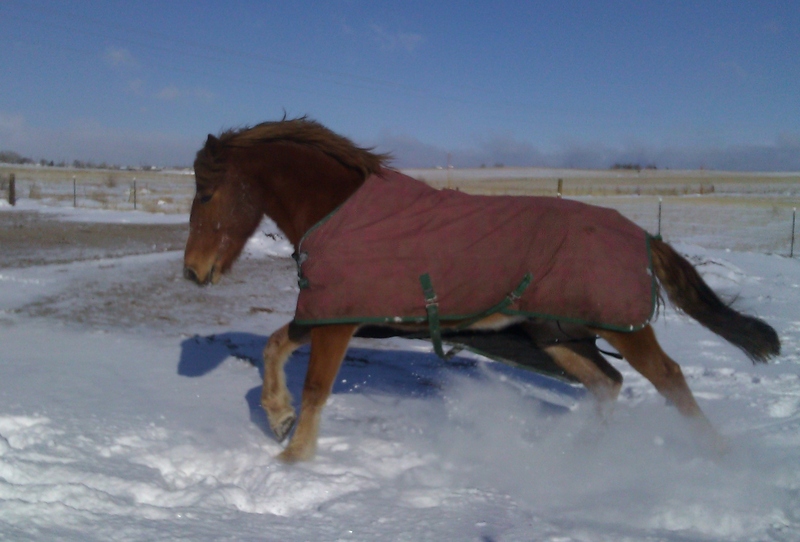 After a blizzard lock-down, Andante’s favorite game is to slam-dance snowdrifts. He stomps snow to bits-it’s a seasonal adjustment. What we’re actually ready for is Spring!